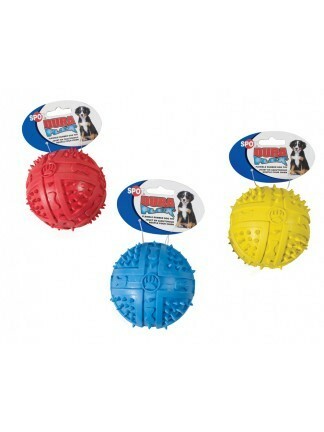 Durable TPR toy that has a plastic (water bottle material) inside that provides a crunch and crackle that dogs love. 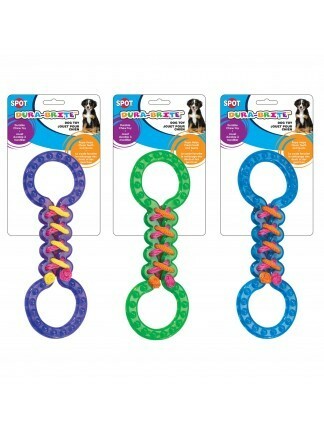 3 color assortment. 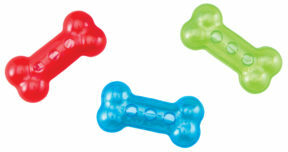 Durable translucent TPR bone with colorful nylon rope accents. Textured surface. 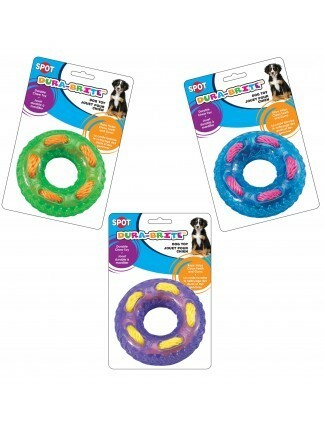 3 color assortment. 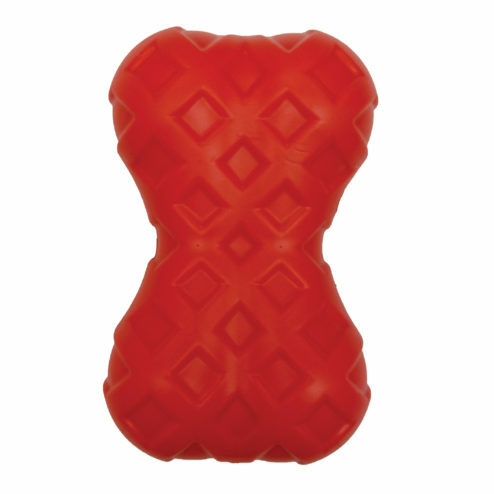 Durable translucent TPR tug toy with a textured surface and colorful nylon rope accents. 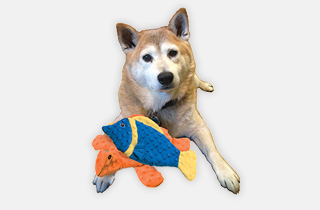 3 color assortment. Durable translucent TPR lace-up ring with colorful nylon rope accents. Textured surface. 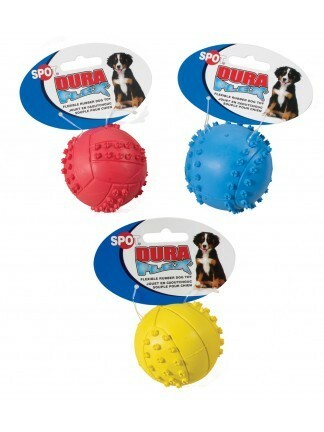 3 color assortment. 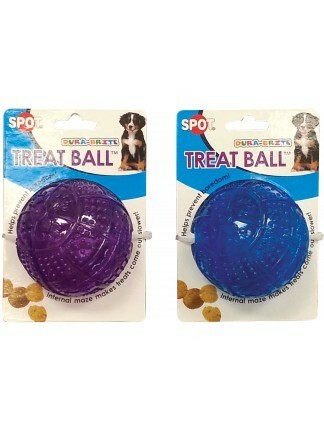 TPR treat ball with textured surface that's great for massaging gums. Internal maze makes treats fall out slower. Helps prevent boredom. Three colors: purple, green and blue. 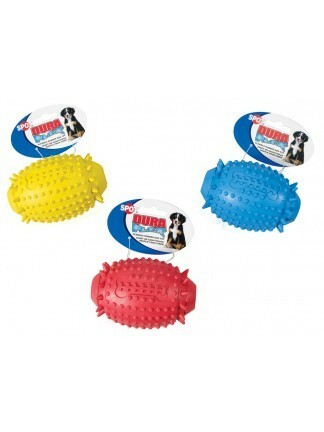 5.5 inch flexible rubber bone with textured surface for added dental benefit. 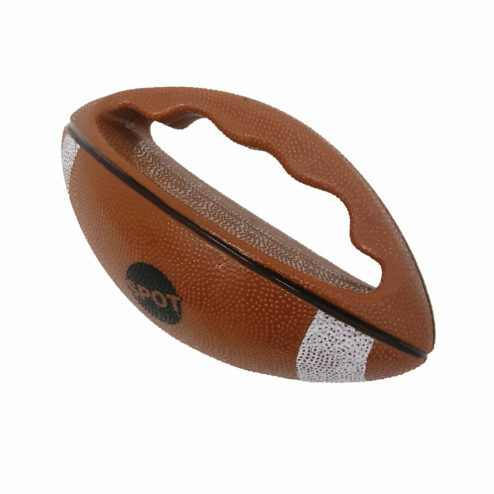 4.5 inch flexible rubber football with textured surface for added dental benefit. 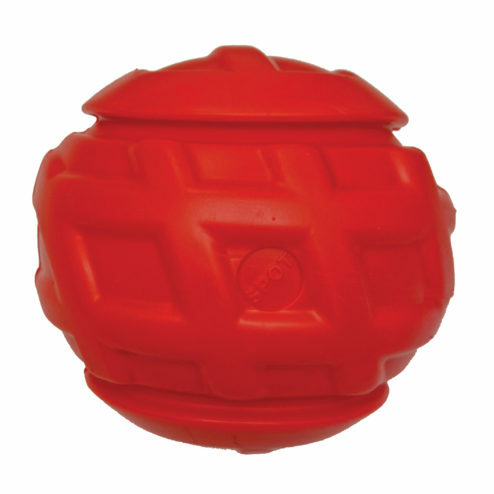 Small (2.5 inch) flexible rubber ball with textured surface for added dental benefit. 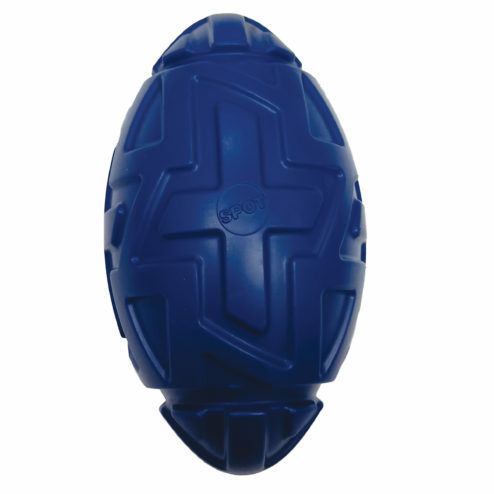 Rubber football with a handle is perfect for game time.Great for playing fetch, your dog can grab the handle and run! Squeaker makes the winning touchdown even more exciting!